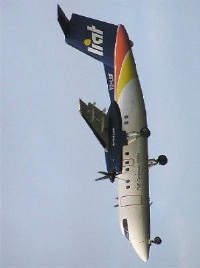 How many tourists use Air Miles to travel to Barbados? We should know! Way back in 2001 we registered a business name and established a website domain under the trading title of MILESCloser. The idea then, which still has not changed, was to target the hundreds of millions of frequent flyer members who largely use their accumulated miles on vacation or holiday travel. One of the impediments to growing the United States market especially, has been the reality that because we are a little further away from key source market cities. Inevitably airfares are often more expensive, resulting in the overall cost of the ‘vacation’ making it more difficult when competing with other destinations. This is especially true with non-gateway departure points. A good example is Minneapolis-St. Paul to Barbados where the current cheapest bookable fare online in October or early November is US$761 economy return. For the same dates the miles required are just 25,000 and US$60.60 in taxes. So by getting rid of the perceived ‘high’ airfare, we then only have to compete on accommodation options. Gone are the days when you only earned miles by flying. In fact it is now almost the entire opposite. Most miles are gained by non-airline purchases. The first major airline loyalty programme, American AAdvantage now boasts over 1,000 partners who offer miles simply by selecting a method of payment. Among these are financial institutions who offer huge mileage incentives to sign-up with particular brand name credit cards, which in many cases grant sufficient miles on application for the first flight, without any or a very limited level of purchasing. Most of us, of course, warmly welcome the current fall in fuel prices which probably in the hospitality sector be demonstrated by the greatest savings in electricity prices, especially those properties who have extensive air conditioning units. But almost needlessly to say, that Government will collect a lower level of taxes and VAT, so it’s a two edged sword. I also wonder how long it will take our limited number of distribution companies to pass on the benefit of reduced delivery costs as a result of cheaper petrol and diesel prices. Assuming of course, they will pass on the benefits at all. Experts in the aviation industry do not expect any dramatic reduction in airfares and again it may work initially against the consumer’s interest while used aircraft values rise as fuel falls, slowing down the delivery of newer most fuel-efficient aircraft in some cases. Across our major tourism markets the halving of oil prices will hopefully give people more disposable income, perhaps most notably in the United Kingdom, where we have witnessed a recent significant fall in the value of Sterling against the US Dollar. Fun N’ Sun publisher Robert Pitcher is calling upon Bajans and people throughout the Caribbean to boycott LIAT Airlines for a day in protest of the airline’s high fares and low-quality service. That’s all well and good, but the real question is: Should Barbados and other governments be involved in the airline business at all – especially when LIAT hasn’t made a dollar profit since it was founded? If there is one thing we’ve proved over the last 100 years, it is that governments cannot run businesses in a profitable manner. It is impossible. What governments can do though, is to subsidise government businesses so that they squeeze out all privately-owned competition. Can we say “RedJET” ? In our past, a case could be made for a government subsidised national or Caribbean airline to bring tourists, business people and trade from over and away and also island hopping. With the explosion of affordable air travel this is no longer a necessity… and if we choose to subsidise air travel to the island, it is much easier to give money to Virgin Air than to run our own airline. It’s time to kill LIAT dead dead dead. BOYCOTT LIAT FOR a day. That’s what publisher Robert Pitcher is calling on the regional public to do to send a clear message to the airline that they are fed up with its high airfares and poor quality service. 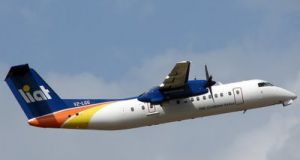 He also advised the regional governments looking to invest in the island hopping airline to keep it afloat not to put a cent into it until it changes its board, which he contends, is not suited to oversee the affairs of running a modern airline. Instead, a group of successful Caribbean businessmen from the separate territories should be appointed to the board with a Caribbean chief executive officer at the helm who understands the market. Speaking at a press conference at his Rendezvous Gardens, Christ Church offices this morning, Pitcher a director of Fun N’ Sun publishing, also took issue with the announcement that LIAT would be flying to Haiti four times weekly from December. Pitcher said presently the airline cannot even service their existing routes efficiently and this move would be to a country where loads would be doubtful, similar to the unsuccessful route to the Dominican Republic. Thanks to an old friend for suggesting this article! Merger of US Airways and American Airlines provides one-hundred million potential Barbados visitors. Let’s get to it! “Since the merger of US Airways and American Airlines the combined number of loyalty members now exceeds 100 million. While still a month away, September presents one of the most challenging times of the year from a tourism perspective, especially from our second largest market, the United States. With three flights daily – two from Miami and one from New York – unless the scheduled aircraft type is changed that amounts to a total seat capacity of 16,680 in and out for the entire 30 days. September 2013 recorded the second lowest US long stay visitor arrivals (6,198) for the last eight years, with only 2012 performing worse. Even if you factor in those travelling who are not counted in the landed passenger statistics, you start to get an idea of the problem. Clearly this massive over-capacity or under-utilisation is not good, either for the airlines or destination, as there is no profit in an empty seat or vacant room. Is there anything ‘we’ can do? For many years I have tried to advocate the opportunities that frequent flyer programmes offer. From 7th September until 14th November American Airlines lower their mileage requirement to 25,000 for a return economy ticket from almost any city they service in Continental North America to Barbados. Of particular interest due to excellent connection times, are cities like Houston and Chicago where published round trip normal fares to Barbados would be at least US$789 and $673 respectively. Using miles only the add-on taxes are payable which amount to less than US$60 return.